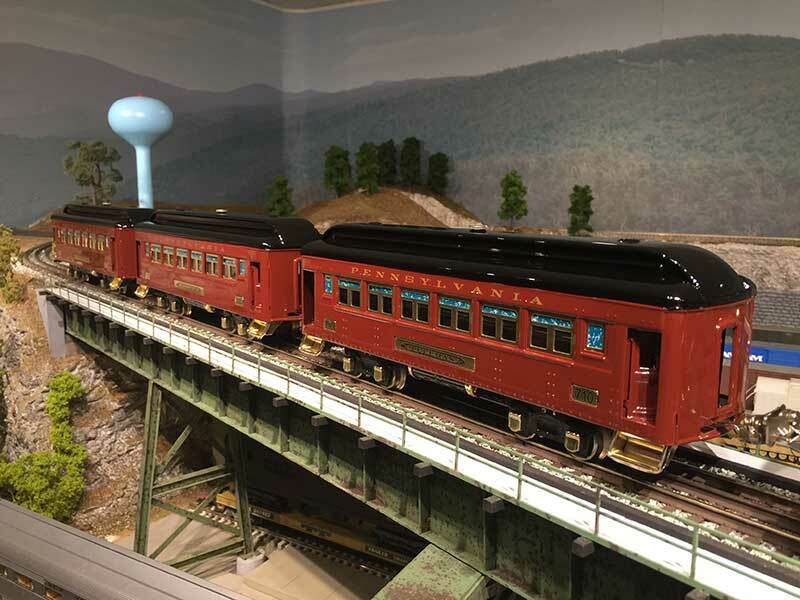 For several years now, tinplate trains have been growing on me. 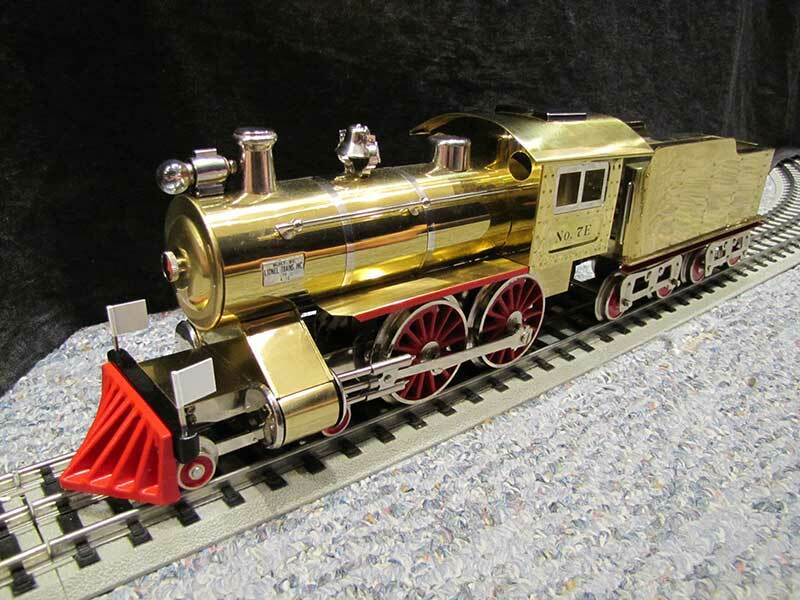 There's something about the toy-like, shiny appearance of tinplate trains that captivates me. 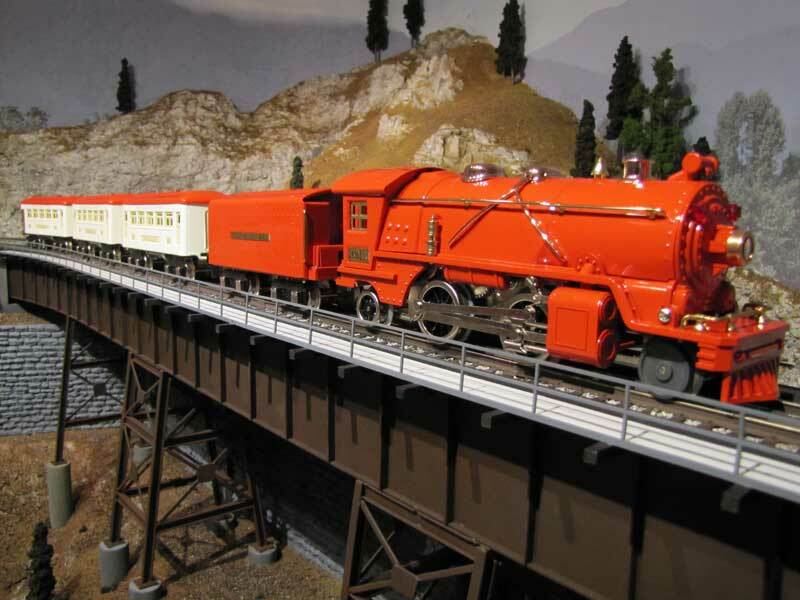 For me, tinplate trains are not about scale realism (like my O-Scale trains), but rather about watching a work of art in action. So in 2008 I finally took the plunge. 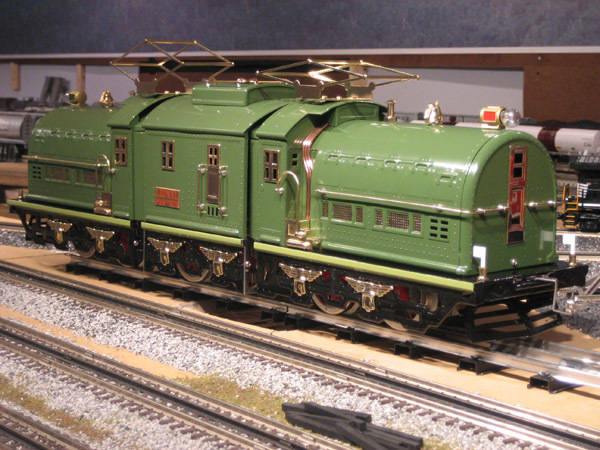 Tinplate trains come in both O-Gauge and Standard gauge and I have decided to pursue both gauges. Obviously, the O-gauge will be nice because I will be able to run it on my current layout. 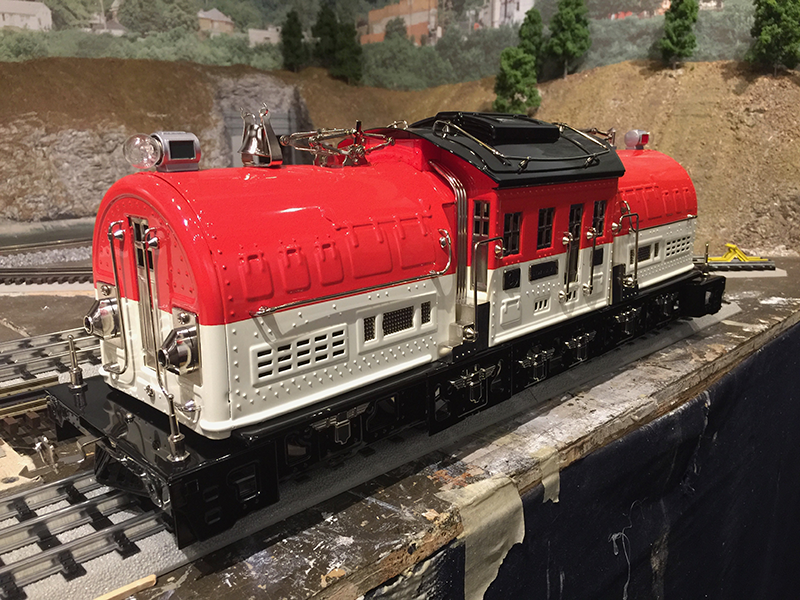 The standard gauge trains, however, are just too beautiful to pass up so I and collecting those as well. Right now I've just got an O-72 loop of standard gauge track running on the carpet, but eventually I will probably hang it from the ceiling. I'd also like to have to standard gauge trains around the Christmas tree. I started off my tinplate adventures by joining MTH's tinplate club, which puts out a couple of tinplate club cars each year. I then turned my attention toward getting to motive power. 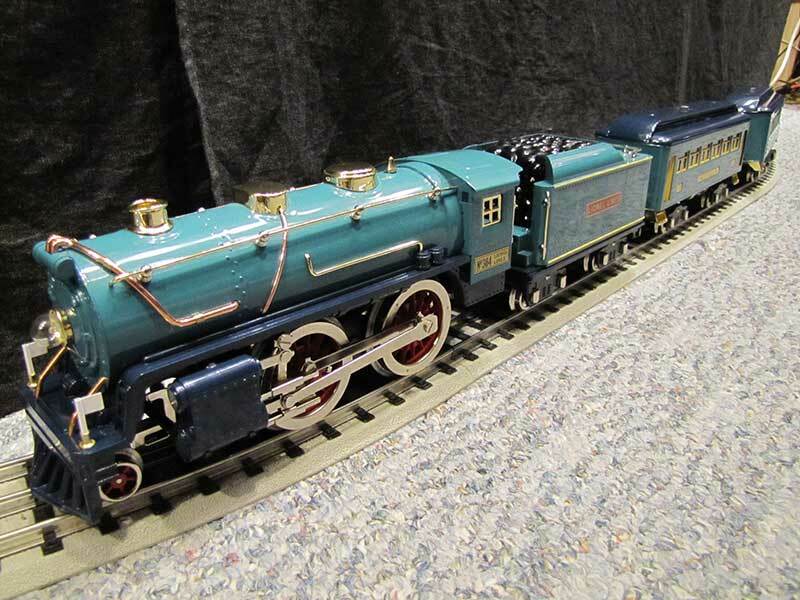 My first tinplate engine came in the form of the Big Brute, which was finally produced by the new Lionel Corporation (Lionel tinplate trains made by MTH with Lionel's blessing). I'm planning on getting at least one or two more standard gauge engines and then some cars to go with them. 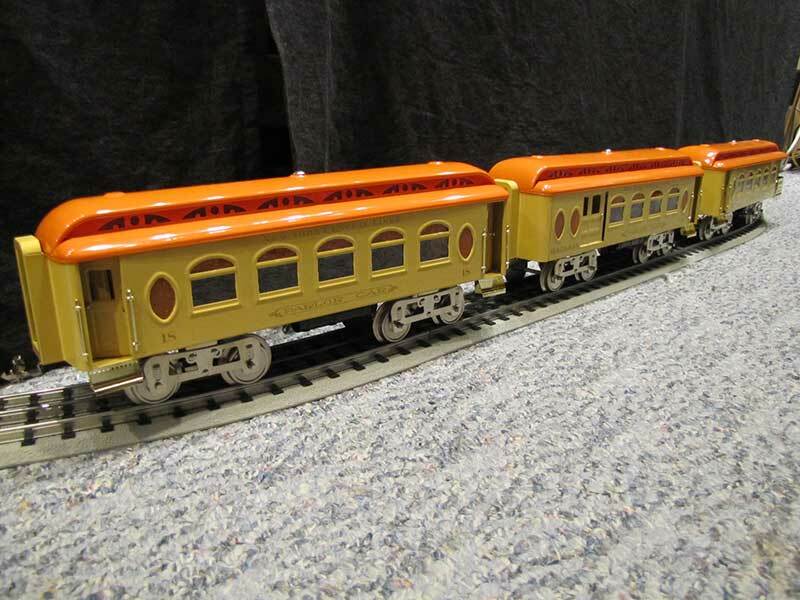 I'm also planning on getting a couple O-Gauge tinplate sets as well. Because my main focus is modern O-Scale equipment and because tinplate trains and rather expensive, my tinplate collection will be a slow growing project. Ideally, I'd like to be able to add a couple pieces of equipment every year and just let it grow over the years. Anyway, I hope you enjoy my tinplate trains! 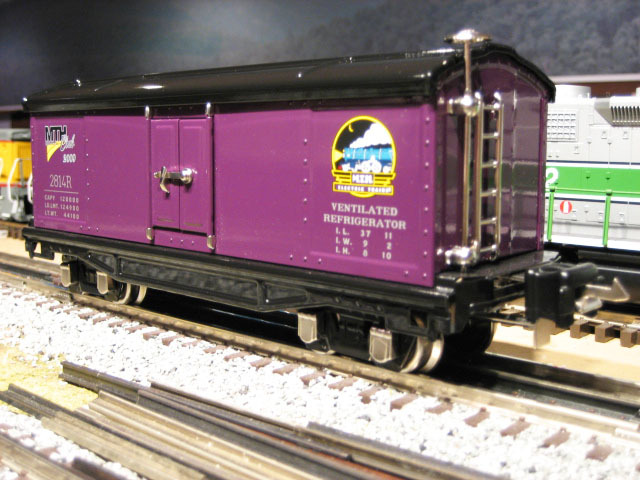 MTH Tinplate Traditions cattle car. 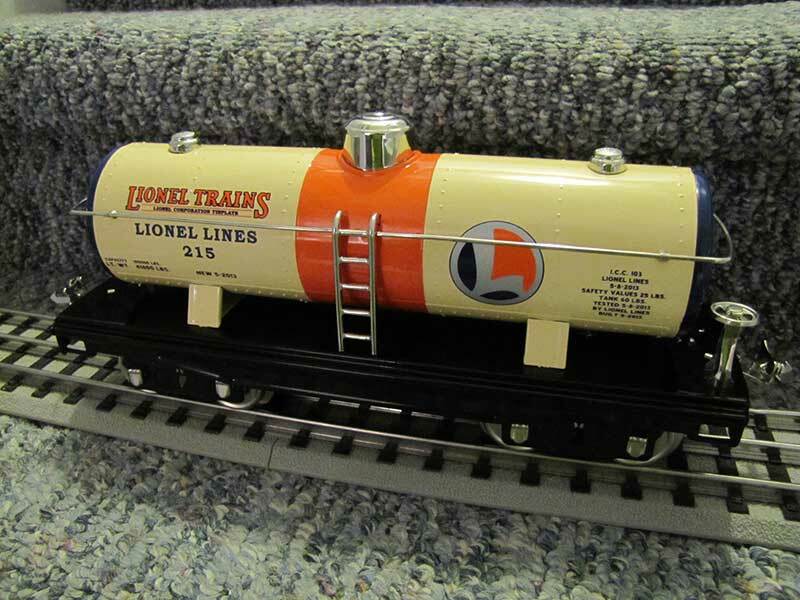 I got this from Forester's Trains in Le Mont, PA. Made in 1996, added to my set in December of 2012. 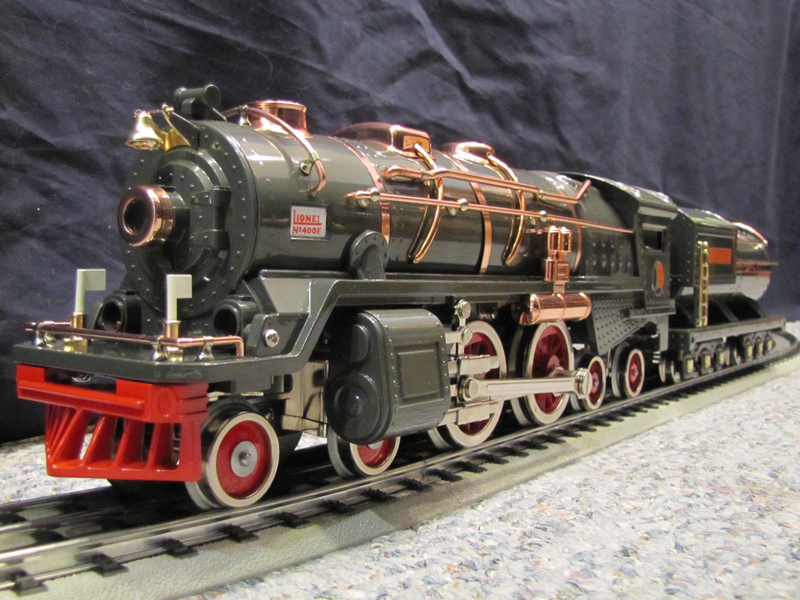 This is a modern reproduction of the #7 steam engine, which was first introduced by Lionel in 1910. A beautiful piece, equipped with Proto-Sound 2.0. Made in 2011, added to my collection in January of 2013. This is really cool little trolley. It's a reproduction of the original #8 trolley made by Lionel back in 1910, except it's outfitted with Proto-Sound 2.0 so it sounds really great! Made in 2011, added to my collection in March of 2013. This beautiful engine runs with matching state set cars. Made in 2016, added to my set in December of 2016. My dad got this for me for Christmas 2010. 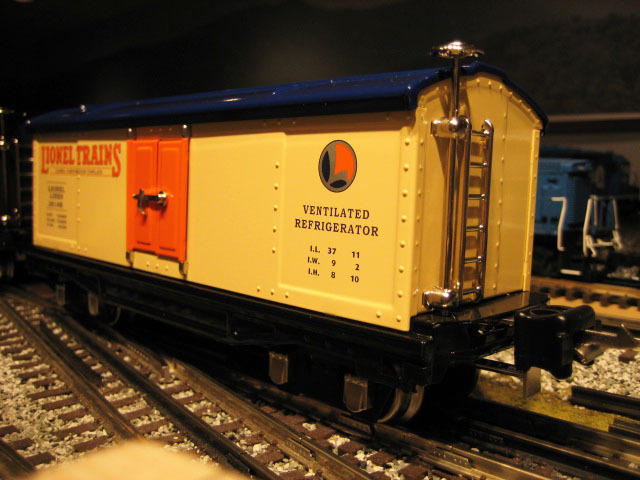 This car was the first standard gauge freight car that I owned that was not an annual club car. 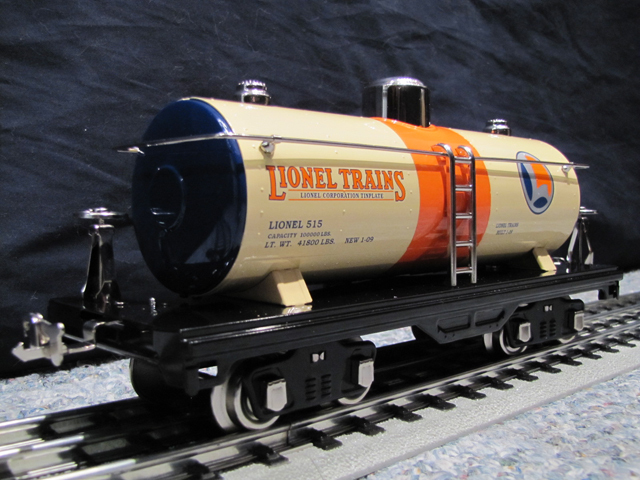 A beautiful tank car was MTH's offering for their 2009 tinplate club. Made in 2009, added to my set in December of 2009. 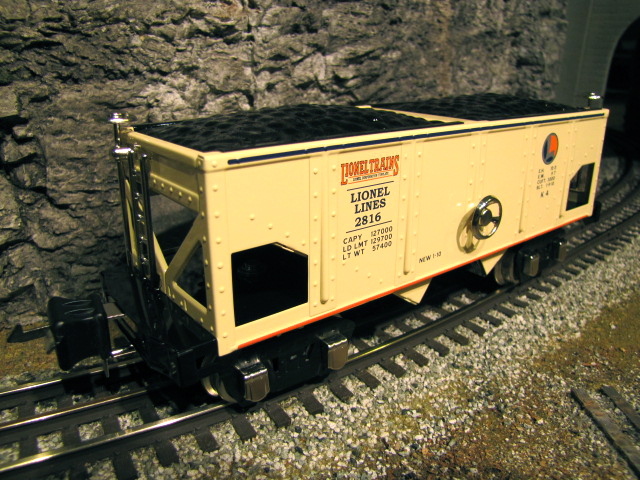 A beautiful coal car offtered as MTH's 2010 club car. Made in 2010, added to my set in November of 2010. 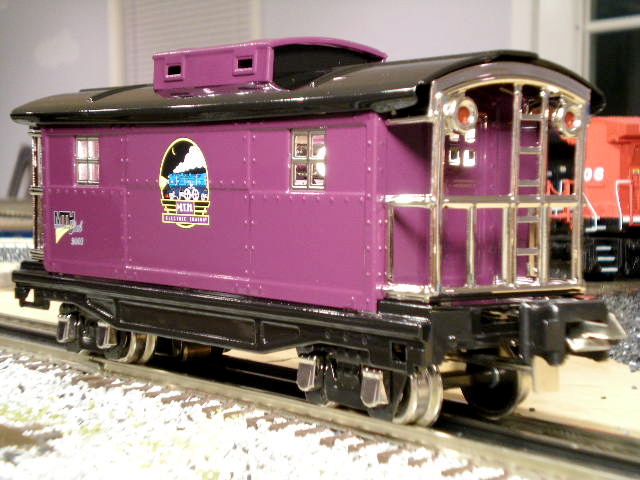 MTH's 2012 LCT club car. Beautiful! Made in 2012, added to my set in January of 2013. 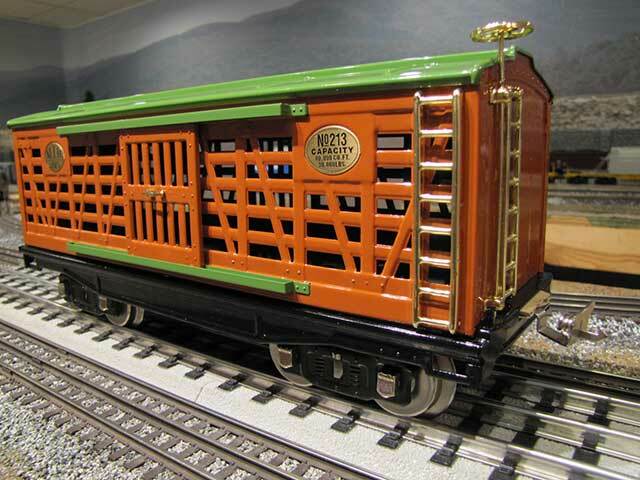 This is the 2013 MTH Standard Gauge club car. Looks great. Made in 2013, added to my collection in November of 2013. I bought these to go with the #7 steam engine. Absolutely breathtaking models. Made in 2011, added to my collection in January of 2013. The blue comet! Gorgeous set, with the great functionality of Proto-Sound 3.0. Made in 2012, added to my collection in August of 2013. MTH's 2008 Tinplate Club Car, and my very first tinplate item! It's wonderfully old school and very beautiful. Sorta takes me back....to a time when I wasn't even born. Made in 2008, added to my set in January of 2009. MTH's 2009 Tinplate Club Car for O-Gauge. Made in 2009, added to my set in November 2009. 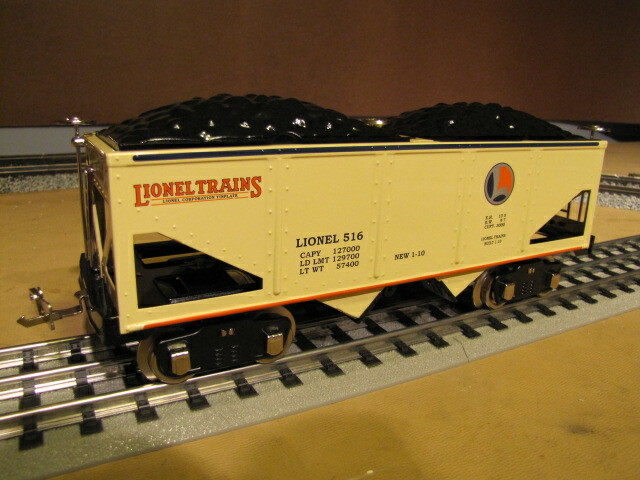 From my 2011 Lionel Corporate Tinplate catalog order, this arrived just in time for Christmas 2011. It's a beautiful set and it was my first engine to have MTH's PS3 system on board. Made in 2011, added to my set in December of the same year. 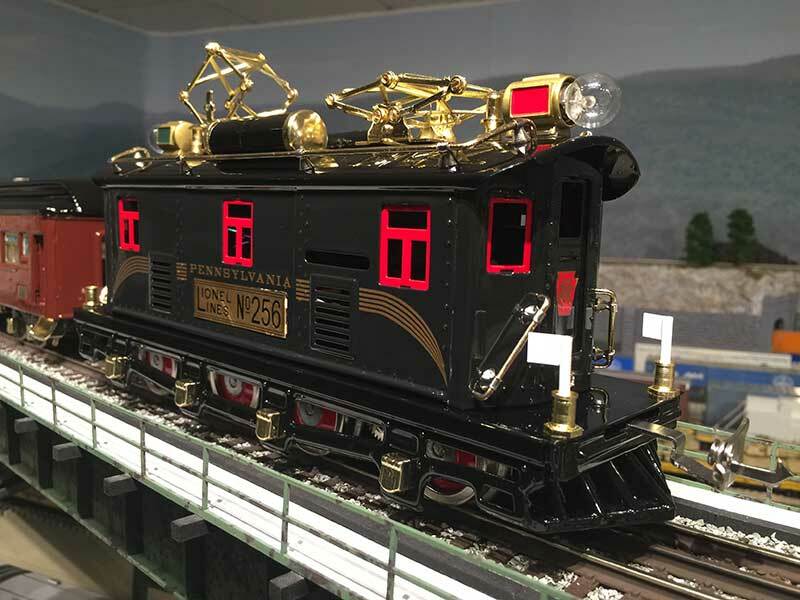 A beautiful reproduction of the original #256 from 1924...of course this one is in a Pennsy paint scheme. Gorgeous! Made in 2015, added to my collection in May of 2016. 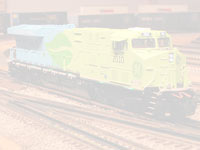 MTH's Lionel Corporation Tinplate Club Car For 2009. 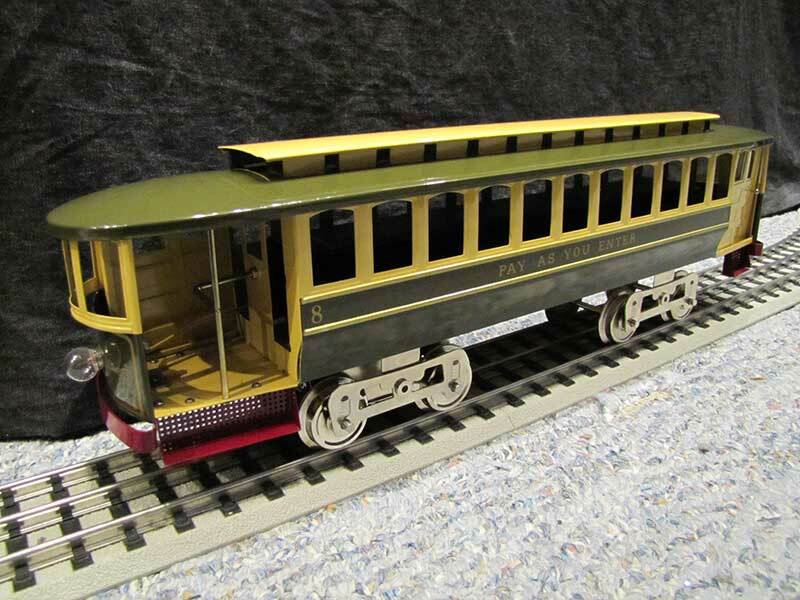 This was the first club car made for the Lionel Corporation Tinplate line. Made in 2009, added to my set in November of the same year. 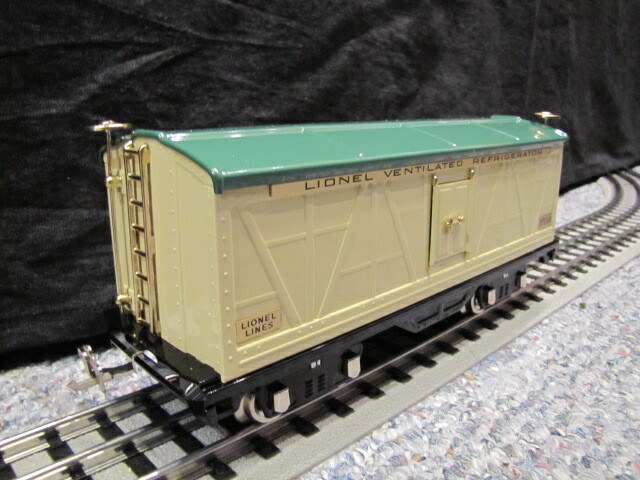 Lionel Corporation's (MTH) 2010 O-Gauge tinplate club car. Beautiful! These go with the Pennsy #256 that I also bought at the same time. Absolutely beautiful. Made in 2015, added to my set in May of 2016.